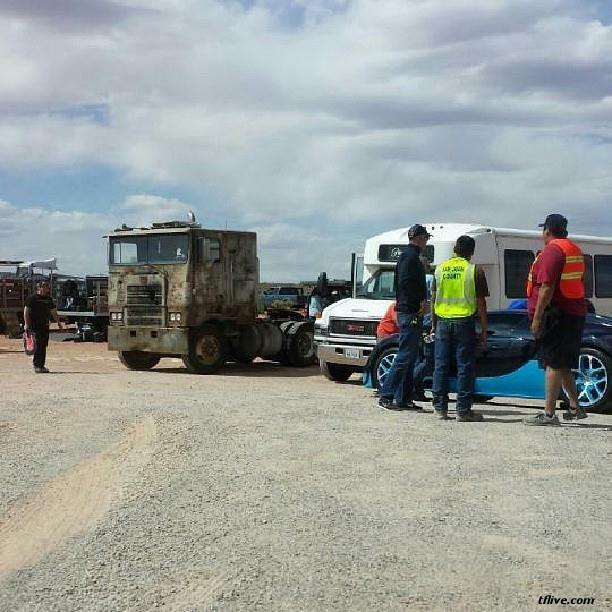 As Transformers 4 continues to film around Monument Valley Navajo Tribal Park, it seems a fourth Transformer was spotted riding around the area with the green C7 Corvette Stingray. 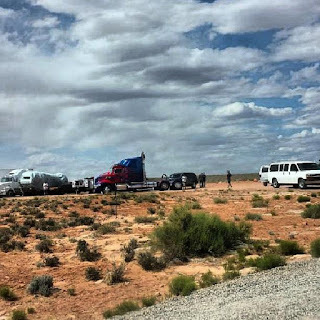 The vehicle appears to have a black and yellow color scheme and shape that looks a whole lot like the Transformers Prime Beast Hunters version of Bumblebee. 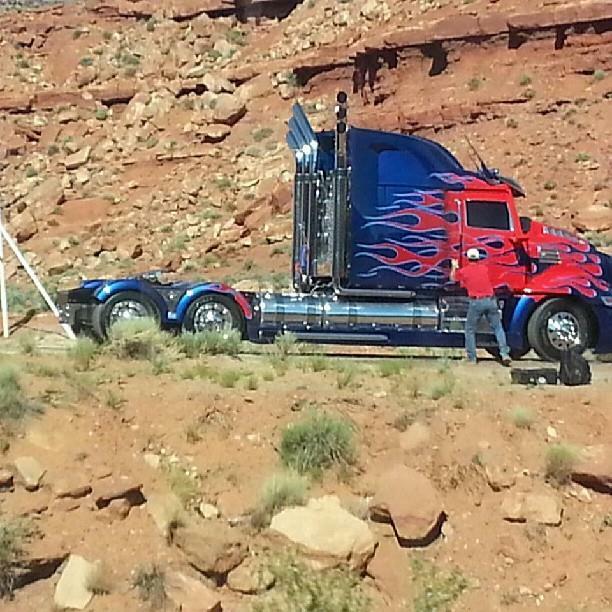 Additional images posted by rezzieboi shows off more of the Optimus Prime vehicle mode, references Bumblebee underneath a tarp, another look at the Vitesse. Also of note is a very rusted truck that looks almost identical to the Generation One alt mode of Prime. 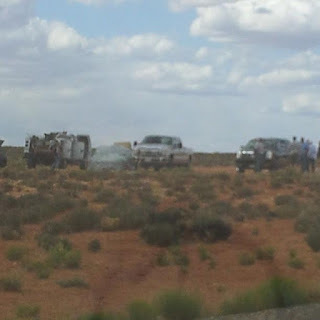 Thanks to Mauri D for finding the images. 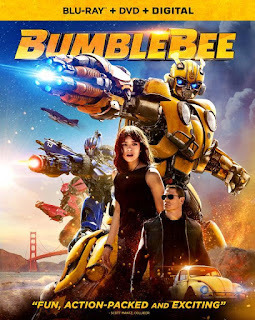 Update: Added to more images from mar10stm and killersquirrell that showcase the potential Bumblebee vehicle. 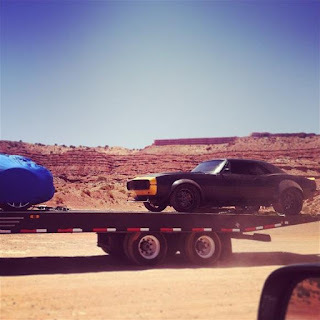 With all the black and what appears to be a much older design, starting to think this is Jack Reynor character's race car and not a TF alt mode. 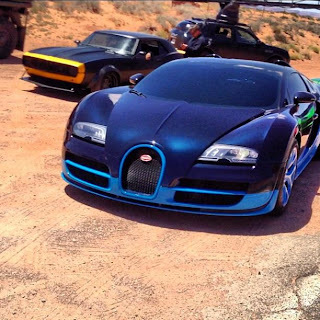 There are two more perfectly clear photos of bumblebee currently on Instagram in addition to the one in this post. Black with yellow highlights. Isn't that a Dodge Challenger? 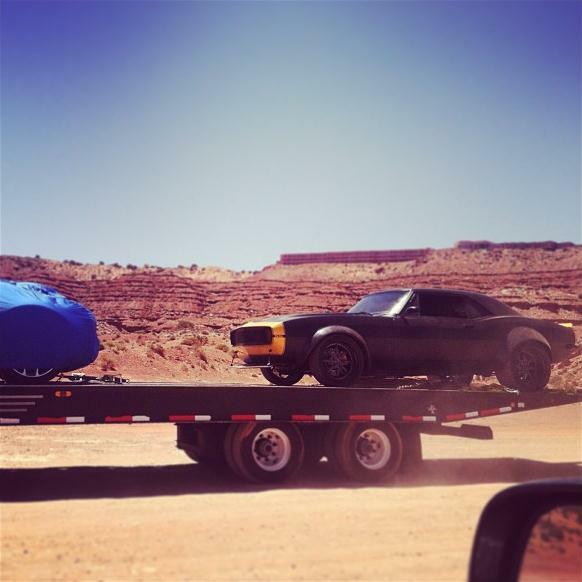 It looks like a '67 Rally Sport with the hideaway headlights and a Z/28 hood to me. '68s didn't have that little triangle window on the door. There were R/S S/S combinations. R/S all had hideaway headlights, that was the hallmark of being an R/S. But this isn't a supersport either because it doesn't have the SS hood, it has a Z/28 hood. It has the S/S stripe on the front, but super sport striping in the front never came in yellow. It's also missing other S/S striping details. If it were an S/S it would also have an S/S emblem on the grill, but it's missing that, too, among other things. This is some kind of frankenstein conglomeration of Camaro packages with an S/S emblem slapped on. It's good enough to fool people who don't know Camaros I guess. 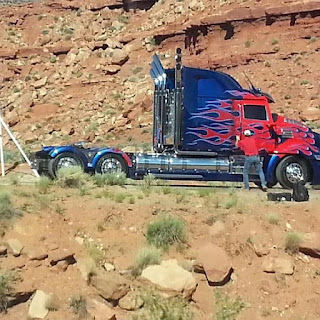 Theory, maybe Optimus for a short time goes into exile and takes on (DARE I SAY IT) his Generation 1 Truck Form...ONLY to get an upgraded form when he is once again needed. Anonymous 12:05 is right. So far i've got to admit with all the previous films, it seemed as if the humans are the main charactors. Remember when i was a little kid, watching transformers it was quite unique.. it's like a world, a battle of the machines and humans were just secondary. 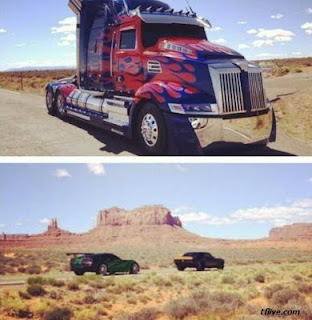 The dialogues between the autobots and decepticons is just enough to make the series interesting. The movies we've seen so far.. is mostly special effects that makes it great. I just hope that the upcoming movies will have better story line and robot interactions and not focus on the humans. Thats why it's caled TRANSFORMERS .. and not the Humans and Transformers. 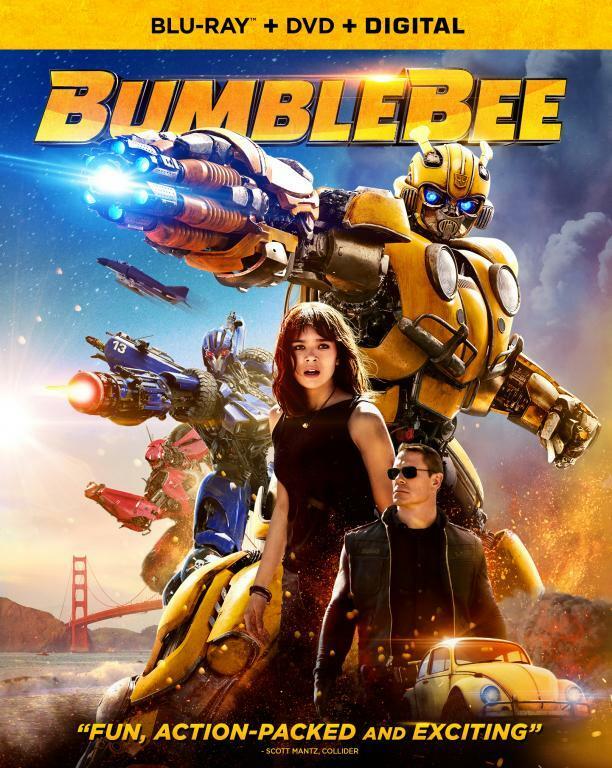 The movies have always focused on the humans rather than the transformers because it cost too much to have a whole movie of CGI, Bay said this after the first one. Also Michael Bay doesn't understand Transformers, and blew the budget on blowing things up rather than getting a good plot. I just hope Bay spends more money on the Autobots and less on the military, if military is really Bay's thing then he should have directed G.I. Joe. Why u hating on primes new threads so much. He looks modern and up to date. Now that he has a larger bunk he should be bigger in robot mode. And btw its called a cabover. to the guy that took the pic of Bee on the flatbed with the tarped car, where you ever able to see what car was under the tarp? Bay Bashers will soon attack! Look forward to the next installment. Like Optimus's new truck! Just don't do a 1986 movie thing on him. Remember he is the reason people like the Transformers!